The mini-camera startup project started at the end of 2017. The camera is designed for photography and video shooting. The device allows you to comfortably shoot what is happening. It should not look like a camera, should not catch the eye and look like a’ geek ‘ device. The camera should be easy to put on and take off clothes. A person should understand how to position the camera correctly relative to the horizon.Photography is activated in two ways: By pressing the button on the camera body and in the application. I analyzed the analogues, made sketches and took into account all the requirements of the customer. Gradually, the concept to make a minimalistic camera focusing on the style of Apple Pencil appeared. Were chosen modern durable and lightweight materials: aluminum, plastic, glass. At the beginning of the project sketches and layouts were created. Next, I created a CAD 3D model in Solid Works. renderings done in software, Keyshot 7. The next stage is the prototyping of selected concepts. Models printed on a 3D printer gave us the opportunity to understand dimensions of sensor and battery. The most aesthetic forms were chosen from printed models. The project is under development. We have chosen several different ideas for further development of the device. To sum up, it turned out to be an interesting project with a” minimal ” design. 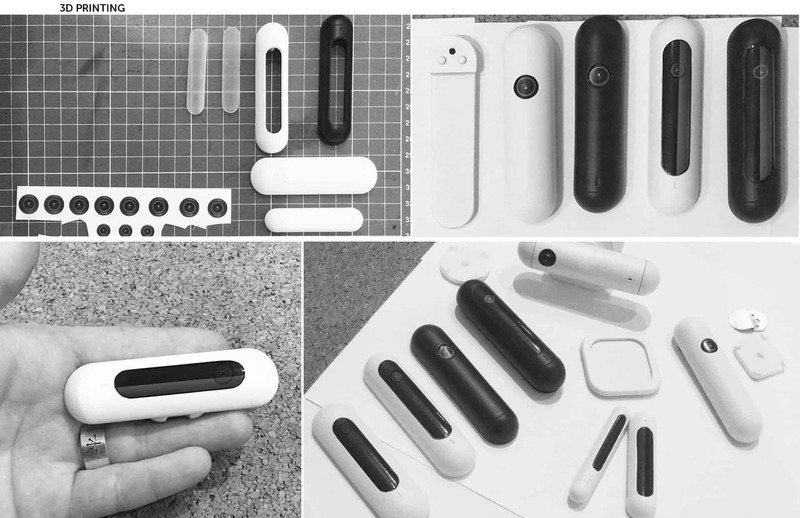 The mini-camera is very elegant, comfortable and does not attract attention. We have fulfilled almost all the requirements of the client. Rafael Fahretdinov industrial designer from Russia, St. Petersburg. After graduating in 2016 from the Department of Industrial design, he soon joined the Woodenshark team, which has brought him the opportunity to work on multiple projects on a wide scale. Among them are Lightpack TV, Moeco, Cherry sensor and many others. His work focuses on creating a meaningful product experience that connects brands with the physical world, he wants to explore design possibilities through function and material. He owns many professional methods of design of design the necessary software. Rafael Fakhretdinov has several personal patents and many implemented projects that are put into mass production. Raphael with great enthusiasm and joy will take up the embodiment of your ideas in life.